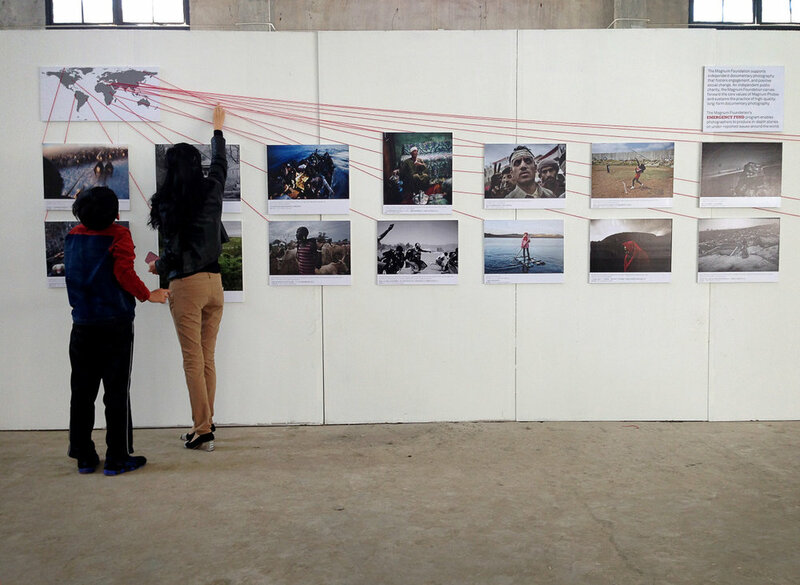 Magnum Foundation Emergency Fund was invited to participate in the Lishui International Photography Festival in Lishui, China. Yue Ren, a Beijing-based curator, writer, and educator curated the Useful Photography exhibit which included an installation that represented the global range of projects that Magnum Foundation Emergency Fund supports. The exhibition also included works by Women Migration Workers, Richardo Yui, Pharoah Marsan, Samuel Bouaroua, Charlotte El Moussaed, Jianhua Shen, Qiumin Tan, Weiwu Ma, Jianjun Ke, Zhongmin Zheng, Gaoxing Ye, Jin Hua, Yee Ling Tang, Xiaoxiao Xu, Jie Yuan, Huiyuan Wu, Dongzi Jiao, Weiwu Ma, Chris Capozziello, Imaging Biodiversity Expedition (IBE) Photographers, and Tomas Holton. Useful Photography received the Excellent Show Award at the festival.